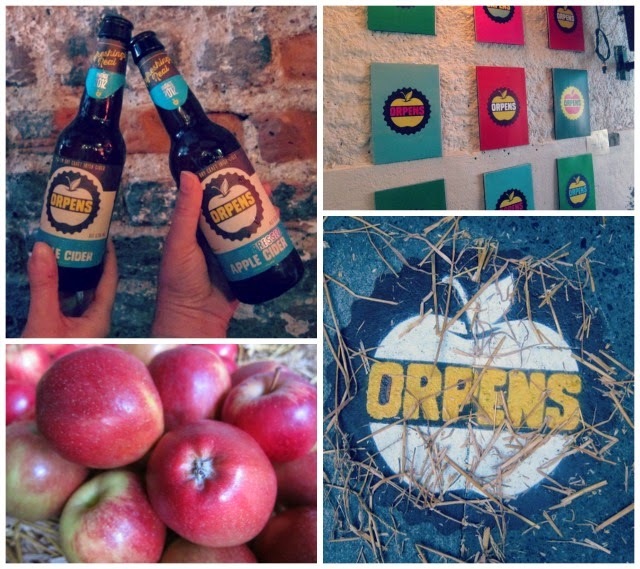 Orpens Irish Cider: Your New Favourite Summer Drink? If you watched last week's vlog or follow me on Instagram (ah g'wan) you'll know about the launch of Orpens Cider, a new Irish product that's quite simply the tastiest cider I've ever tried. My new favourite summer drink, Orpens is also healthier than your average cider - it's toxin and gluten free, as well as being naturally low in sugar. The taste though is just perfection: the perfect balance of sweetness and crispnesss, much like an apple itself. In fact this is decidedly the most appley cider I've ever smelled or tasted and is clearly a labour of love. Chris and Matt, its makers, are passionate about their product and Chris's wife, Ali, is the woman behind the gorgeous contemporary branding. Look for it in Tesco as well as Fallon & Byrne in Dublin and other independent off licences and restaurants. If you saw yesterday's post you'll know how I feel about tasty, tasty beverages - but what about you? Will you be giving this a try?